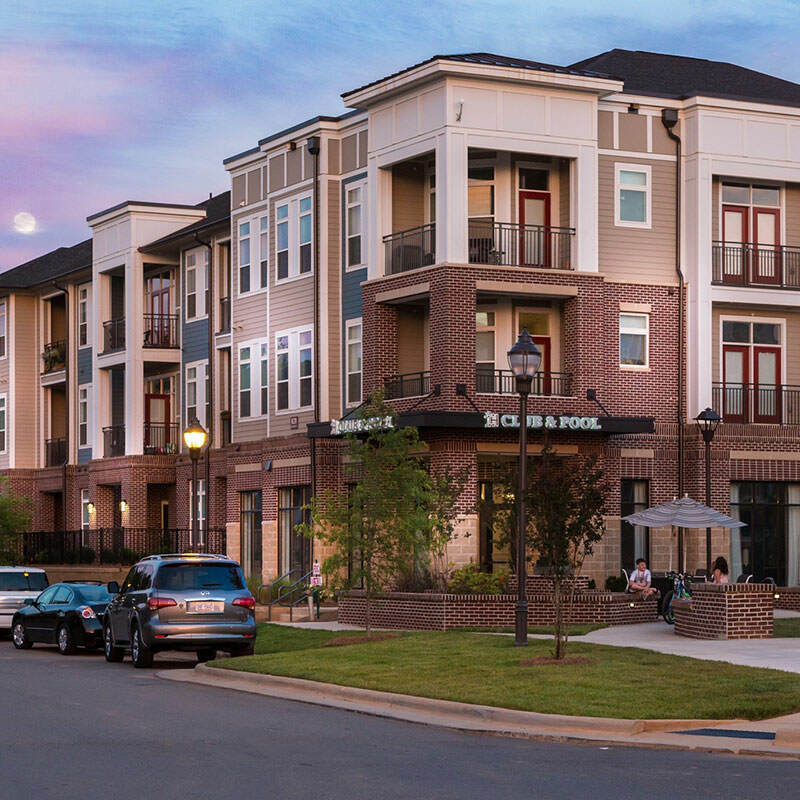 Welcome to the new standard of luxury apartment living in Huntersville! The Apartments at Holly Crest offers one-, two- and three-bedroom homes featuring finishes such as white shaker cabinetry with wine racks and glass upper doors, quartz countertops, premium appliances, plank flooring, & custom built-in closets plus much more. Outstanding amenities such as an outdoor resort style saltwater pool with lap lanes, hot tub, tot lot, state-of-the-art fitness center, full size golf simulator, business center with private resident offices, dog spa and dog park are ready to add another level of comfort to your day. There are also community pocket parks with outdoor grills and gaming courtyards, an indoor hot tub, men's and women's saunas, and a resident car wash. There will be something for everyone to enjoy at the Apartments at Holly Crest, a Northwood Ravin signature community.